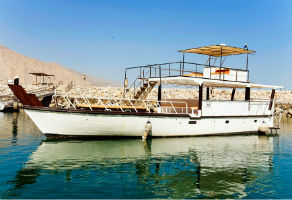 Al Boom Diving runs a dhow trip out of Dibba Port every Friday. 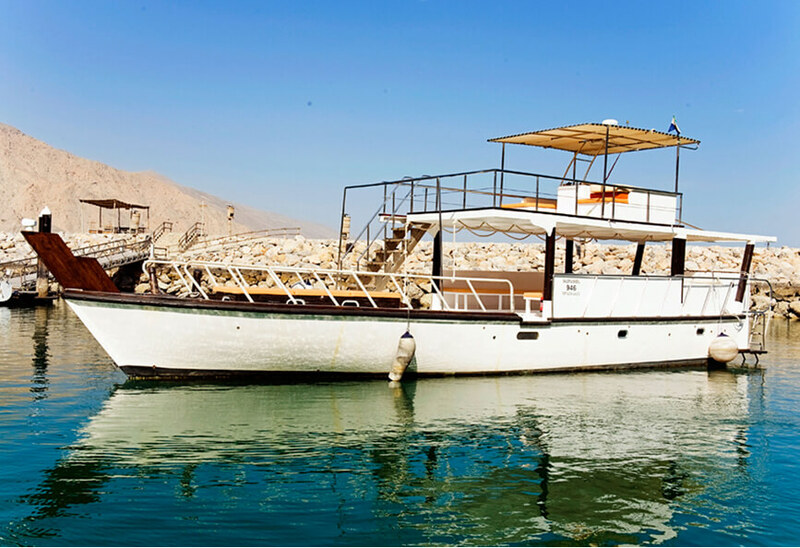 This traditionally designed dhow offers a leisurely relaxed trip allowing you to experience the various dive Sites in the Musandam which are abundant with sea life. You will have time to sit back and enjoy the local scenery as you sail for approx. 1-2 hours up the beautiful coastline. The dhow is suitable for up to 15 passengers, not only for pleasure divers, but also for snorkelers and sun-tanners! A fantastic day out, the dhow departs from Dibba port at 9am and returns around 6pm. There is a light Breakfast on arrival which consists of croissants, bread, fruit, tea and coffee. Arabic buffet lunch is served in between dives, soft drinks and water are available all day. The dhow is double-decked, with bathroom and shower facilities on board. The Caves – Not visible from the surface, The Caves are accessible through tunnels which have been eroded through the limestone rock by the sea. The main chamber is between 15 metres and 20 metres in to the rock, with a maximum depth of 10 metres. Lima Rock – Consisting of two sites – one on the north side of the rock and one on the south – Lima Rock is full shallow caves and deep fissures, carved out by the tides and currents of the surrounding ocean. 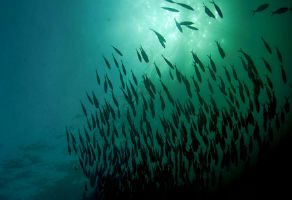 Depending on the area, maximum depth runs between 12 metres and 60 metres. Ras Lima – The headland at Ras Lima provides two individual but equally fantastic dive sites. The north site is a wall dive along the interesting and intricate rock face of the headland. The rock wall drops to depths between 10 and 15 metres, surrounded by fallen boulders. On the east side of the headland, a bay sits under the cliffs. 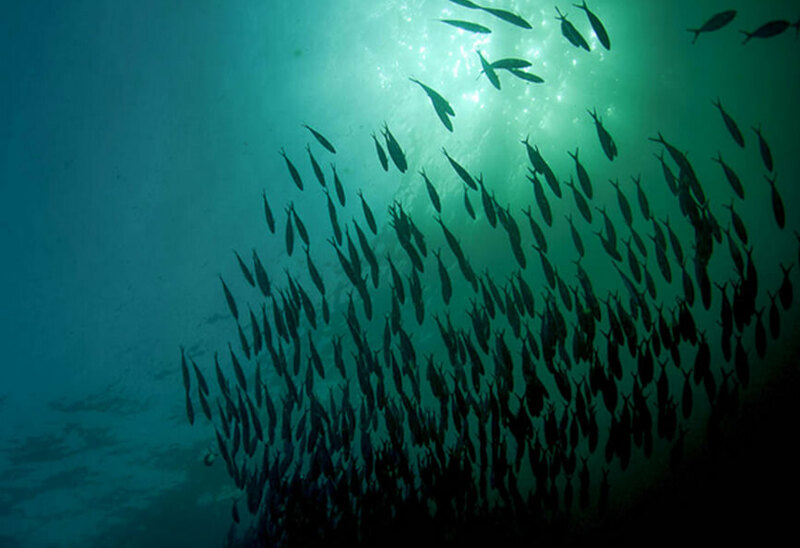 Almost vertical, they drop in to the water to a depth of 6-8 metres and then the coral beds run to a depth of over 15 metres. 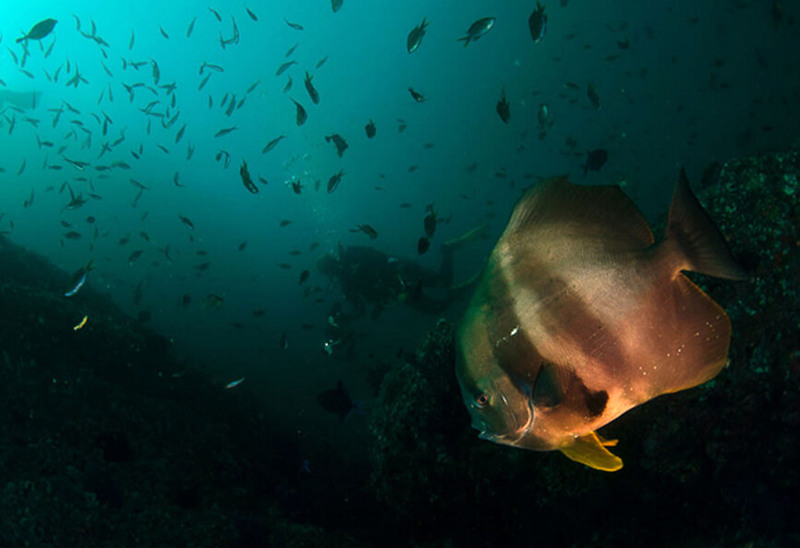 Ras Saria – A fantastic wall site with a maximum depth of 25 metres, Ras Saria often has strong currents which can make for an interesting drift dive. 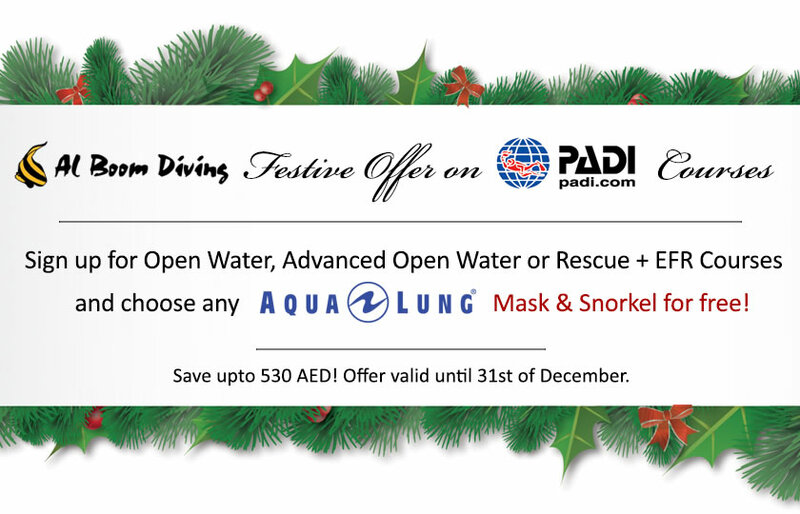 This package includes two dives in any selected two locations from above dive sites with full diving equipment.